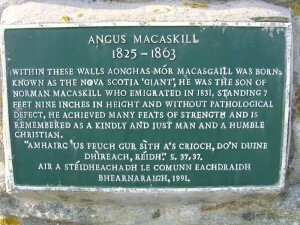 Giant Macaskill Angus Mor Macaskill is known in the Guiness Book of Records as the World’s largest giant. He is noted to be the tallest and the strongest man who ever lived, and the man having the largest chest measurements of any non-obese man. Queen Victoria heard about MacAskill’s great strength and invited him to give a demonstration at Windsor Castle, after which she proclaimed him to be “the tallest, stoutest and strongest man to ever enter the palace”, and presented him with two gold rings in appreciation. 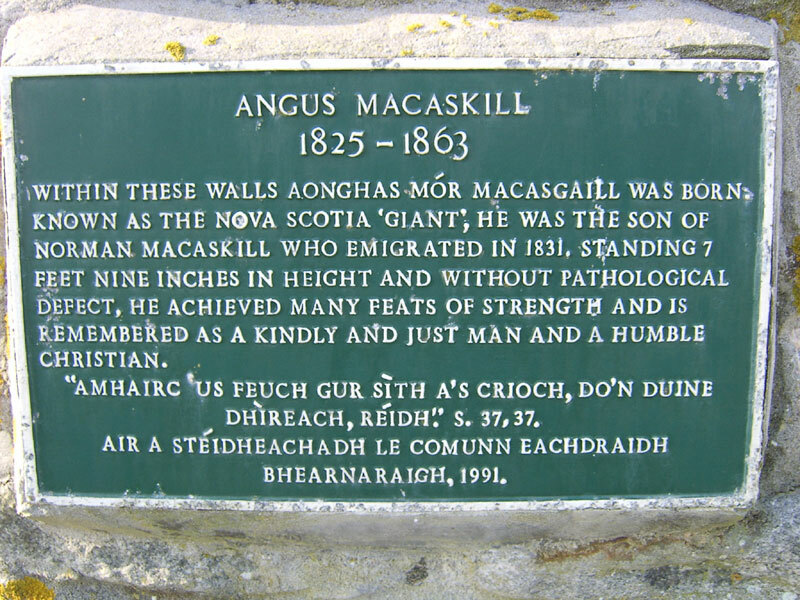 He was born on Berneray in 1825 and the Giant Macaskill Cairn was erected in 1991 to commemorate his birthplace. Descendents of the Clan Macaskill still live on Berneray today. 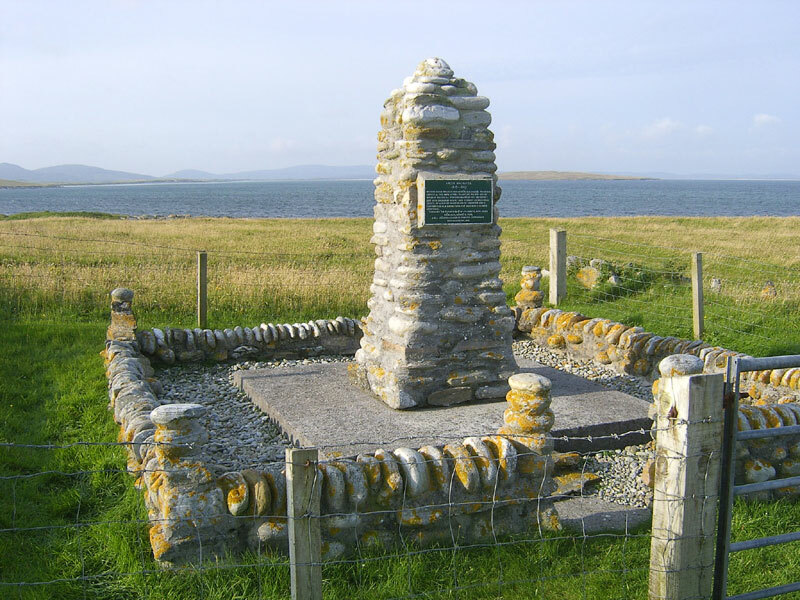 The memorial cairn can be found near the south coast of Berneray. Follow the road across the machair right to the very end; then walk east until it comes into view.